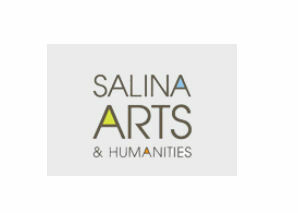 Salina Arts & Humanities Foundation announces that the application process has begun for two categories of the Horizons Grants Program. The Organizational Project Grants, along with the Lana Jordan Developing Artist Grants, are now open for application, with a deadline of November 1, 2018. These grants support artistic growth through Salina’s cultural and nonprofit organizations and practicing artists. Thanks to generous donors, Horizons grants facilitate Salina and Saline County artists and organizations in developing the artistic, cultural, historic and aesthetic resources of the community. The Lana Jordan Developing Artist Grants (up to $2000, requiring a 1:2 match) are available to any highly skilled visual, performing, literary and interdisciplinary artist who has demonstrated seriousness to an art form, but who has not yet firmly established a career as a full-time practicing artist. Artists living in Saline County for the period of at least one year and who are 18 years or older are eligible to apply. Organizational Project Grants (up to $6,000, requiring a 1:1 match) provide support for projects that place the arts at the heart of community development in an effort to build community through the arts. The deadline is November 1, 2018 in either category for projects that will occur during the 2019 grant cycle (February 1 – November 30, 2019.) All new applicants for the Developing Artist or Organizational Project grants must schedule a meeting with SAH staff no later than September 20, 2018. All returning applicants must notify SAH staff by October 4, 2018 of intent to apply. Horizons Enrichment Grants ($500) are available on an ongoing basis, with application submitted six weeks prior to the beginning of the proposed project. For budgetary reasons, Horizons Enrichment Grants will not be awarded December 1, 2018 through January 31, 2019. Visit salinaarts.com for an application form and guidelines. Staff is available to assist applicants in formulating a successful grant proposal. If you or your organization has interest in making an application, please call Anna V. Pauscher at 785-309-5770 or email [email protected] to schedule an appointment to discuss a proposal.